I paid Gareth a visit to congratulate him on winning The Ulster Tatler Best Restaurant Award. Gareth is the proprietor and head chef here. 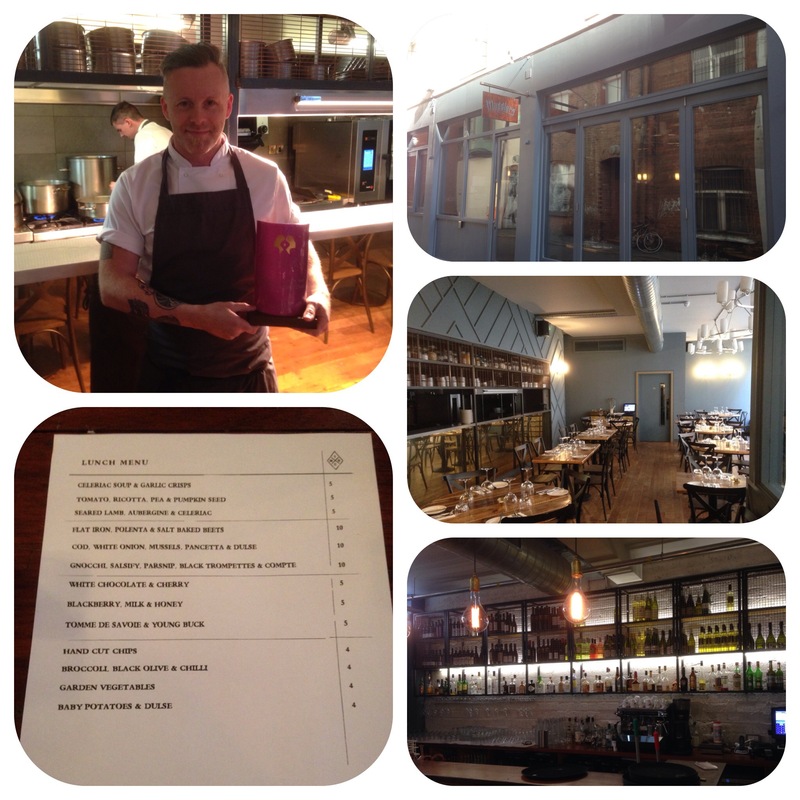 He has carefully hand selected his front of house and kitchen staff and his ethos is, quote “happy people at work”. He explained to me that he likes to keep his menus small and only ever uses local produce, except mushrooms which come from France thrice a week!! His kitchen staff and himself would often forage for food. The lunch menu looks lovely and is changed bi weekly, the evening menu is seasonal. Due to the fact that the menu is small I would suggest to look at it online before going as the selection may not appeal to everyone all the time. The restaurant seats 50 and is closed Sunday and Monday. Will have to try the food next time! !